Course Description: Proper hands-on maintenance techniques provide increased reliability and uptime for your molding machines. 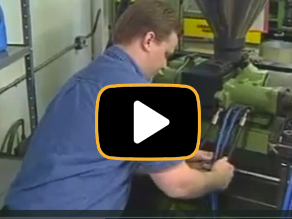 The Injection Molding Machine Maintenance interactive training program demonstrates the proper machine maintenance procedures for all hydraulic injection molding machines. This 3-hour interactive training course demonstrates and teaches the hands-on maintenance techniques that provide increased reliability and uptime for your molding machines. The importance of establishing a regular maintenance schedule, including tools and techniques is reinforced. All machine systems, hydraulic, electrical and mechanical, are covered in this course. Also highlighted is the importance of safety in the workplace and performing on-going safety system checks. Very informative. You will understand how material affects molding! Want to Become a Processing Super Hero? Get Started Now!. TestDrive Sample Lessons, FREE.